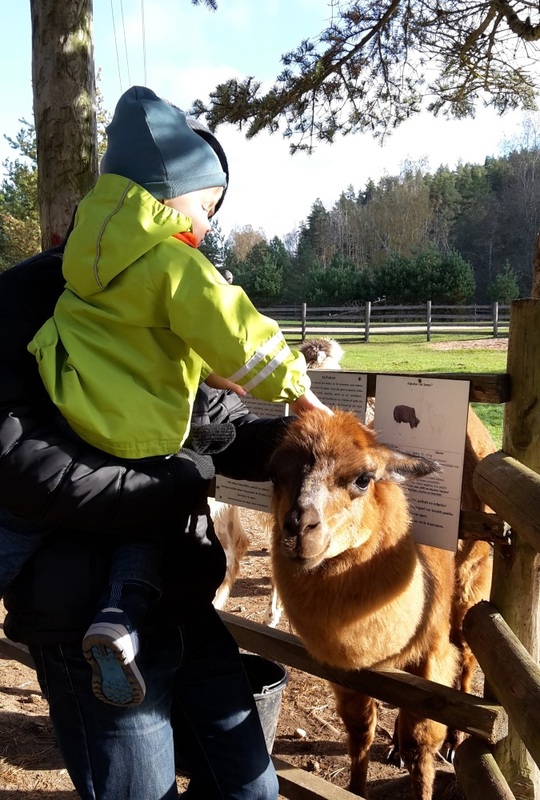 Few weeks before the first snow we attended one other mini Zoo – camel and llama farm “Rakši” near Cēsis. 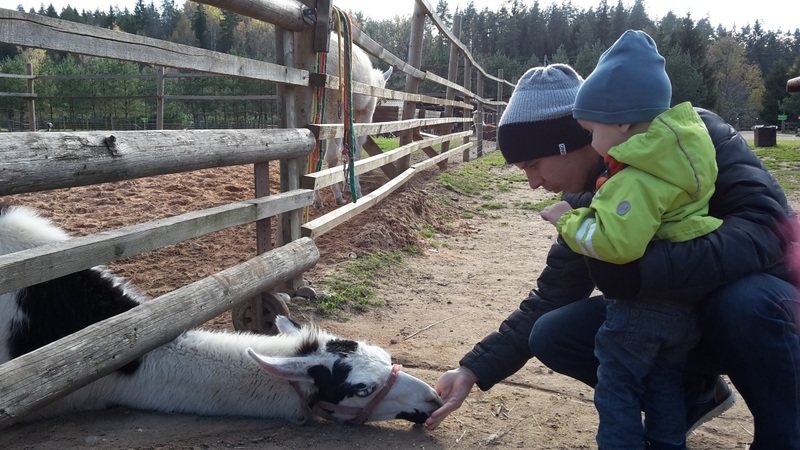 Those many Latvian mini Zoos are nice leisure points if you have to go for a few hours trip, but of course they are interesting enough to go there just like that! 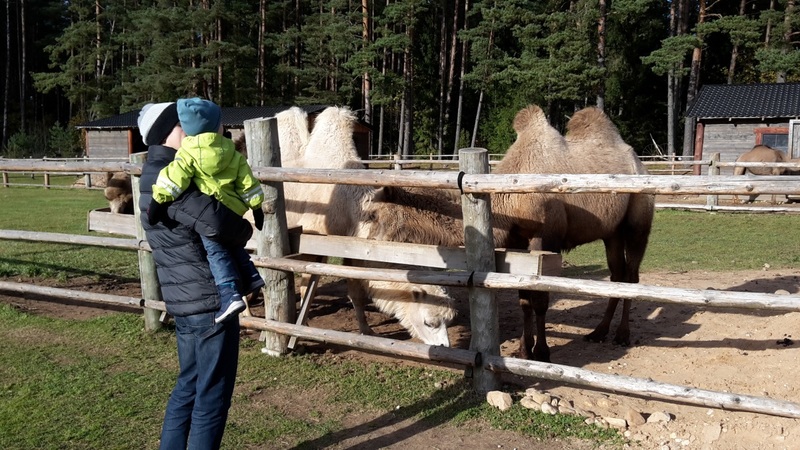 “Rakši” on particular sounded welcoming not only with their camels and llamas, but also with a possibility to have pancakes made of camel mom’s milk. They also have a souvenir shop with many camel themed accessories and wool clothing, mittens, socks and so on. 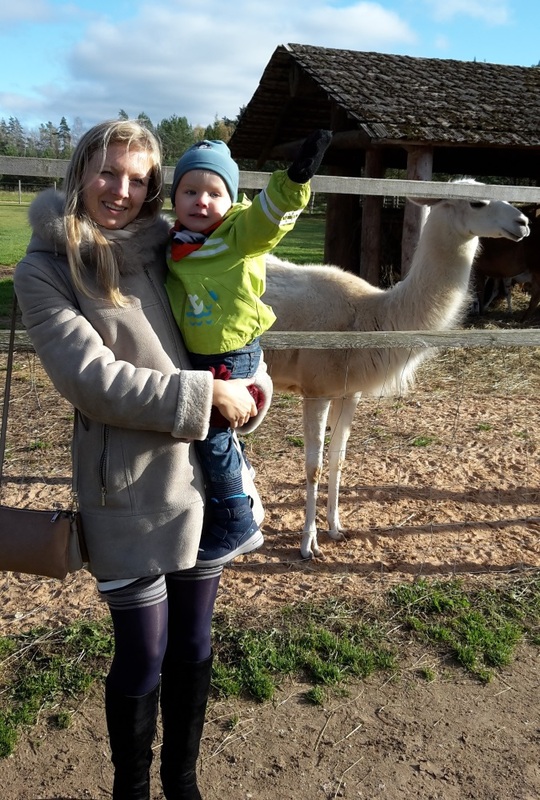 This is one of those mini Zoos which are opened whole year round. 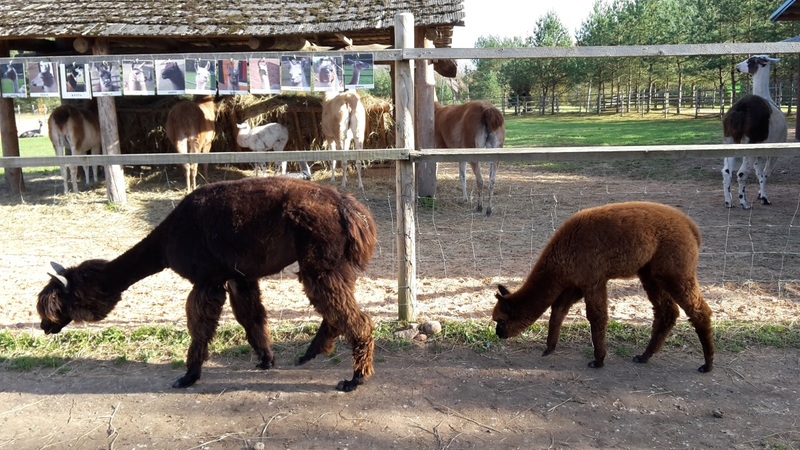 LLAMAS. 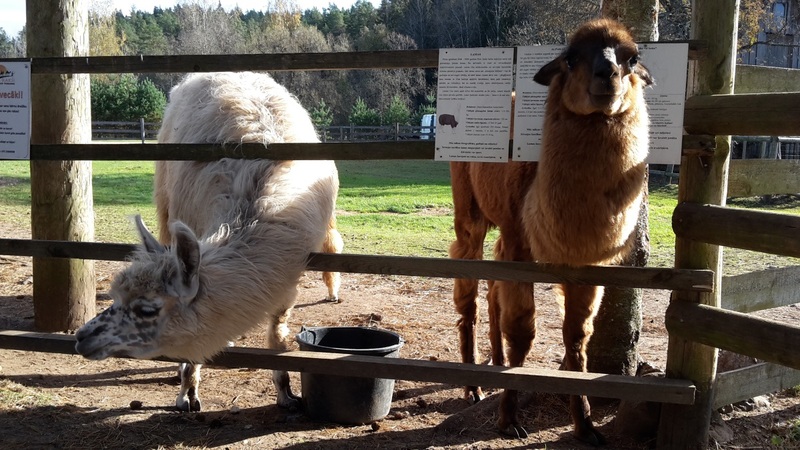 You can buy combicorm to feed llamas, but be careful – they do spit a lot! And they fight to get people attention! 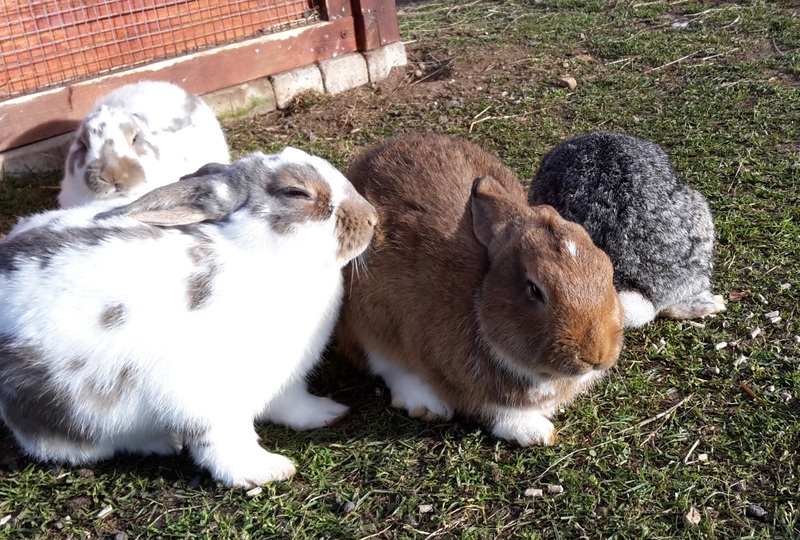 Sadly you can’t give them carrots or other vegetables, because those are special treats for animals and are given only on certain amount and time. 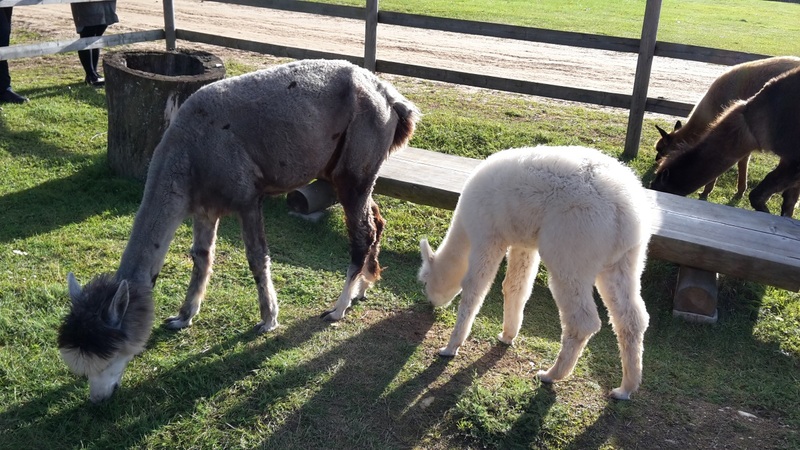 ALPACA. 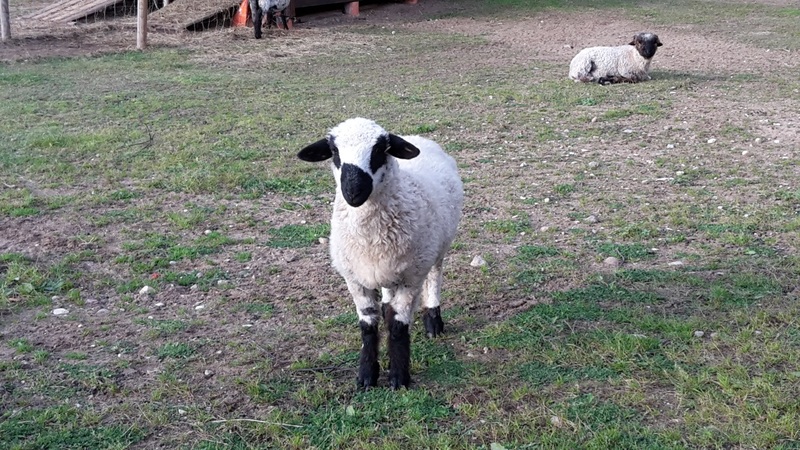 These soft and pulpy animals are the ones we need to thank for the mild baby wool! 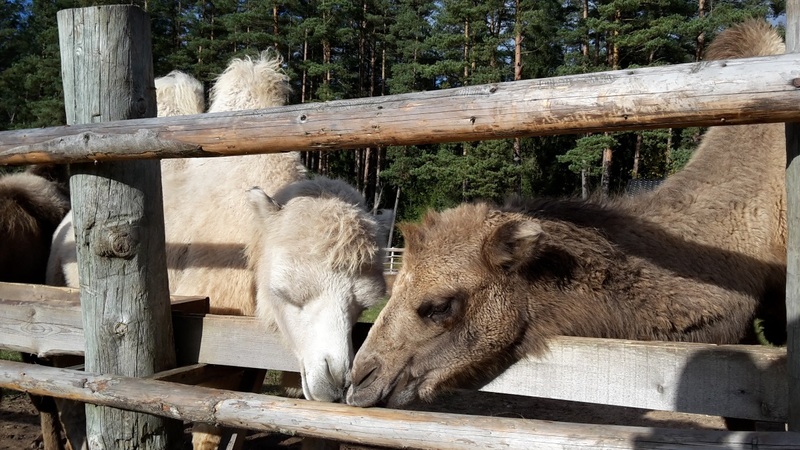 There were some especially fluffy animals with adorable hairstyles walking between the visitors! 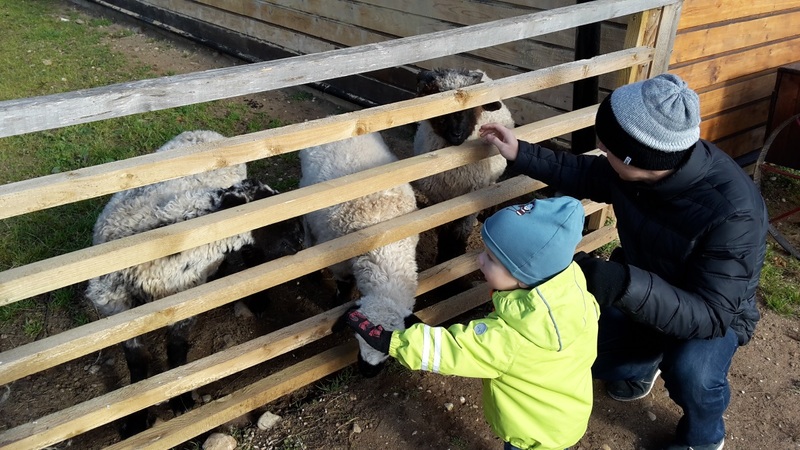 Of course there are no public farms without rabbits, because kids love rabbits so much! Here they are a really big rabbit family who lives in their own “palace”. Best thing that rabbits can be seen through a cafe’s window – it made easier for our toddler to wait for the pancakes. By the way camel milk pancakes were delicious!